With winter well and truly setting in throughout parts of Ireland and the UK, you will probably find that you keep trying to stay warm, even when indoors. This winter is packing a particularly powerful punch and with it comes dreams of warmer climes and spring weather. But what can you do in the meantime to make sure you create a warm and cosy atmosphere inside? Check out a couple of our top interior design tips for winter, some of which we have borrowed from Chill.ie and their great suggestions on home interior decorating tips for winter. One of the top trends this season is to bring the outdoors inside. This can be done in a number of ways, with small trees in the corners of your living spaces or dining room, pine cone accents on tables as decorative choices or by gathering up long twigs and sticks and propping them up in the corner, tied together with a pretty bow then accented with fairy lights, these are all awesome ways to bring the outdoors indoors and can help create a nature based cosy atmosphere, reminiscent of log cabins in the woods with snow all around. Colour blocking is one of the easiest things you can do in a space to brighten it up and make it more cheery. Colour blocking includes selecting one or two colours and placing bold accents of said colours in places around the room in terms of throw blankets, artwork, cushions and rugs or lampshades. This can help bring some life and warmth into a space that is monochromatic or feeling a bit bland and dull. Which colours will you choose? Remember that cool colours can “cool off” a space while warm colours can “warm it up”. For those who don’t know, cool colours include shades of blues, greens, greys and violets while warm colours are those with red, yellow, orange and neutral tones. It’s no secret that lighting can make or break an atmosphere. If you’re going for cosy and warm, having lighting that is next to spotlight level can really take away from the ambience that you’re trying to create. Instead, stick with lower level lighting for those spaces you’re trying to warm up against those cold winter nights. 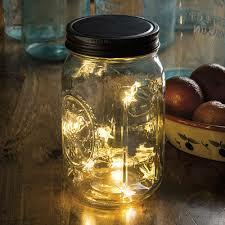 Consider creating some unique decor by filling mason jars of different sizes with wads of battery operated fairy lights. This can create a lovely piece for a mantle or side table and looks fantastic in any space it’s in. Great for bedrooms, living spaces, dining rooms or anywhere that you want to create a feeling of being cosy and at home. So whether you want to spruce up a space for good, or you’re looking to bring in some bright colours to make it a warmer atmosphere over the winter months, these tips will get your home looking fantastic! Try out some easy to do changes today and revel at how different the space appears when you put in a bit of time and effort. You might be surprised at how little you need to actually do to make a space pop with warmth.